If you would like to sign up for the services mentioned below, send us an email or call our Member Service Center at 713.627.4000. One of the great benefits of being a MemberSource Credit Union member is free Online Banking, Mobile Banking and BillPayer. Together, they make keeping track of your financial life simple and worry free. 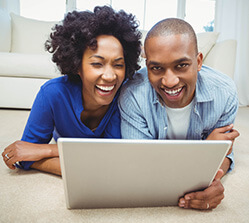 Go online from any computer, phone or tablet with internet connection and securely check your account balances, view cleared checks, make loan payments, transfer funds between eligible accounts, set up personal email alerts, pay bills electronically with BillPayer and so much more. Once signed up for BillPayer, if you have any questions regarding transactions or need help with BillPayer contact Member Support at 844.298.8452. View a Home Banking Demo Here! To start using Online Banking, Mobile Banking or BillPayer today, find the member login section at the top of any page. Enter your member number and code provided to you at account opening when logging in for the first time. You will immediately be asked to set up an 8 - 16 character password and enter information from a security box. You'll go through a sign-up process, which asks you to accept our Home Banking agreement and enter three questions and answers that will be used for security purposes at MemberSource. You will only have to go through this procedure once. Afterward, you'll need only your member number and password to sign in. Home Banking and BillPayer are free! What can I do with Home Banking? Balance and information inquiries, transfers between deposit accounts, transfers to make loan payments, advances from your line of credit loans, review account history, export data to Quicken and/or Microsoft Money, change your password, as well as set up your own stock portfolio and track its performance, and more. How can I add to the security of my account? Please be sure to completely exit your Internet access software (browser) after using Home Banking. Please make sure your computer is secured and unauthorized persons don't have access to your passwords and e-mail information. Never give your password to anyone or write it in a place that can be easily accessed. Avoid passwords that are easily guessed (like your phone number or social security number, or consecutive numbers). Make your password truly unique and something you'll easily remember. Protect this information just as you would cash in your pocket. What browser should I use to access MemberSource's Online Account Access feature? You must use a browser that supports 128-bit encryption. Supported browsers and platforms: Microsoft Internet Explorer version 5.0 and higher Netscape Navigator version 6.0 and higher Mozilla version 1.4 and higher Mozilla FireFox version 0.9 and higher Opera version 7.11 and higher Safari version 1.25 and higher (Other and older browser version may work, but are not explicitly supported.) We support the use of the following platforms: Microsoft Windows 98, NT, 2000, and XP, and Macintosh OSX (other platforms may work, but are not explicitly supported). What if I make an incorrect transaction on my account? If you perform a transaction by mistake, you should be able to undo the transaction since you are given a confirmation option to complete the activity or cancel it. If you have confirmed it, contact the Member Service Center at 713.627.4000. How much of my account history can I see online? You can see the past 90 days of your account history. However, if you sign up for eStatements, you can view up to 12 months of past eStatements. Can I download account information into my money management software? Yes, you can download account information into Quicken, MS Money and Managing Your Money. Simply click on the Reports tab in Home Banking. Once you have run the report for your desired account, click on the "Download to Quicken" or "Download to Money links", and you're ready to balance your checkbook, track your expenses, and much more. Yes, in fact we encourage you to change it periodically. Click on the Profile button from the account access page to change your password. Remember that changing your online account access password will not change your Touchtone Teller password. We encourage you to keep your email address up to date so we make it easy for you to change your email address anytime. Just click on the Profile button from the account access page and go to "Update Member Info" to change your email address. Do I sign up for BillPayer or is it automatically available? Yes, you do need to sign up. Simply sign into Home Banking and click on the BillPayer tab to apply for MemberSource's BillPayer service online. It's fast, convenient and easy to use! If a merchant will accept electronic payments, your bills will be paid electronically. However merchants who cannot accept payments electronically will receive a check through the mail. Who can I pay with BillPayer? You can pay any individual or entity, with the following exceptions: taxing entities such as the IRS or the state franchise tax board, and court ordered payments such as judgments or fines. Your BillPayer payments will be deducted from a MemberSource checking account that you designate at the time you register for BillPayer. Electronic payments are deducted from your checking account on the same day as the chosen processing date for each payment. It will appear on your statement as an Internet bill payment, which will list the merchant, amount deducted, and date and time deducted. Check type payments will be deducted when the check is deposited by the payee. The payment will appear in your share draft statement as a normal check transaction. When check imaging is available you will be able to see images of your bill payment checks. You can contact your merchant or review your next month's statement to determine if payment has been received. Whom do I call for help on BillPayer? Is there a way for me to view payments I've made? Yes. The Payment History feature in BillPayer allows you to view all your past activity on your BillPayer account. Can I add an authorized user to my BillPayer service? Any person that you allow access to your Home Banking service will have access to your BillPayer service. How do I set up a payee? Click on the Add Payee button, complete the required fields for your new merchant and click on the "Submit" button. You do not need to send your payment coupon to your merchant. As long as you include your account number when paying through BillPayer, your merchant will credit that account. Do my payees need to know that I will now pay them through BillPayer? No. It is not necessary to notify your merchants that you will be submitting your payments through BillPayer. Can I schedule a payment in advance? Can I set up BillPayer to send recurring payments? Yes. Each payment can be recurring, or you can even set up a payment to recur but remind you 2 business days prior to the processing date of the payment. This feature is convenient for payments that are not the same every period, such as your phone bill. How do I discontinue BillPayer service? To discontinue BillPayer, click on the "Your BillPayer Setup" link in the BillPayer area. This will give you the opportunity to change your BillPayer user information or to cancel BillPayer. If I change my user information within the BillPayer platform, will it automatically update the credit union's information database? No. If you have changes to your street address, your phone numbers or e-mail address simply click on the Profile button from the account access page and go to "Update Member Info". For more information, please contact our Member Service Center at 713.627.4000. I get a server down error message when trying to enter Online Account Access. What does this mean? In most cases, this means that your Internet service provider is experiencing problems. However, each service provider has their own error messages, so you will need to check with your provider for their specific message. If you see the message "Service Temporarily Unavailable," that means that we are conducting system maintenance. During this time, you will be unable to use Online Home Banking. Do I have to press the Exit button in order to leave Online Account Access? No, but we highly recommend doing so. By properly exiting online Home Banking, you can be assured that all communication is severed and that your next login session is free of any unnecessary problems. This is why we strongly suggest that our users actually click on the Logoff button to leave Home Banking after each session. If you have any additional questions, please e-mail us or call our Member Service Center at 713.627.4000. Download the free MemberSource Credit Union mobile app from the App Store or Google Play to get started. Do I have to sign up for Mobile Banking? Yes, you do need to sign up. Simply sign into Home Banking and click on the Mobile Banking tab and select your mobile settings. It's fast, convenient and easy to use! How do I know if my mobile device can access mobile banking? MemberSource mobile banking is accessible from most web-enabled cell phones and smart phones. If you have a mobile Internet browser and Internet access from your phone, it's most likely you can use mobile banking. To be sure, check with your service provider or simply type in www.membersourcecu.mobi in your phone's Internet browser. Mobile banking from MemberSource is free. Depending on the terms of your contract with your mobile provider/carrier, you may be charged access rates and text messaging charges. Check with your mobile service provider for details on specific fees and charges. What features are available within mobile banking? Schedule one-time payments to your already established BillPayer payees. Make one-time money transfers between your MemberSource accounts and more. What is a mobile transaction notification? This is a message that notifies you of all transfers and billpay transactions that are initiated through mobile banking. The message is sent through the Secure Communications Center located in home banking. This service can be activated and deactivated by the member on the mobile banking sign-up page located in home banking. Yes! Mobile banking uses SSL encryption (scrambled code) just like MemberSource's home banking. Mobile banking also requires your member number and password to access your accounts. And it uses the same high-security logon features as home banking. How do I clear the cache on my mobile phone? Every mobile phone is different so please check with your mobile service provider for details on how to clear the cache on your mobile phone. For your security, your account is locked if your login or answers to security questions are entered incorrectly too many times in a row. Should that happen, please contact MemberSource at 713.627-4000 for assistance. What is the difference between mobile banking and home banking? MemberSource mobile banking is a variation of home banking made specifically for your mobile device. There are fewer graphics, text, and options to reduce complexity and increase load speed. Specialized features such as changing your password, reading secure messages, or viewing your statements are not available in mobile banking. Some features of BillPayer Service such as setting up recurring payments or adding new payees are not available in mobile banking. Scheduling of recurring money transfers is not available in mobile banking. Details of your pending transfers and bill payments are not available in mobile banking. You will not be able to submit applications to open an account or for new products in mobile banking. How do I unsubscribe from mobile banking? Just log-in to your home banking account and go to the Mobile Banking tab and disable mobile access. When you sign up to receive your statements via eStatements, we'll stop sending you monthly paper statements in the mail. Instead, you'll receive an email stating your eStatement is ready and to log into Home Banking. When you do, your eStatements will be waiting. You can then download and save or print them at your convenience. There's nothing more secure than retrieving your credit union monthly or quarterly statement online. And eStatements makes it possible with up to 12 months of past statements always available. If you're already an Online Banking user, simply login to your account and click on the eStatements tab. If you're not an online Banking user, it's easy to sign up. Use your member number and last four digits of your Social Security number to access Online Banking directly from our home page. Once you're in, click on the eStatements tab and choose "I'd like to receive eStatements." eStatements are available on all accounts, but are required for the Simply Free checking account. After our Technology Upgrade effective April 29, 2019, a separate iSnap mobile app and application process will no longer be required. No new iSnap applications are being taken at this time in preparation for the new system. The new program will be included within Online Banking and no special enrollment is necessary. More information will be available beginning April 29th. iSnap Deposit is a convenient service available for MemberSource CU members to electronically deposit a check on your smartphone allowing you to take a picture of a check and deposit it into your savings or checking account. On initial login to iSnap Deposit, you will need to read and accept the MSCU Remote Deposit Capture User Agreement.You may review a copy of the User Agreement prior to downloading the application. Please ensure the endorsement "For Mobile Deposit Only" is written on the back of your check as stated in the User Agreement. Otherwise, your deposit may not be accepted. NOTE: Any deposit received after 2:00pm CST will be posted the following business day. Deposit time is based upon receipt of deposit by MSCU’s system. Normal check holds apply. Once the deposit is credited to your account, you will be able to view it in Home Banking and be able to tell if a hold has been placed. Please review How to Use iSnap Deposit for additional information. Sometimes you need to send money quickly, securely, or directly. If so, this is where you'll find important information to get the job done. 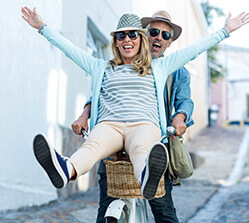 Direct Deposit provides the security of having your checks (paycheck, pension check, Social Security check) deposited directly into the MemberSource account of your choice. 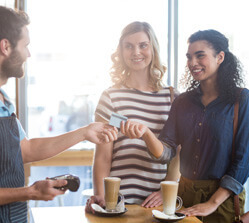 It saves you time and worry — no lines to stand in and no need for concern over a check being lost or stolen — and it's yet another free MemberSource service.